Superheroes and heroes will take over the auditorium at MassBay Community College on March 18th as the Wellesley Symphony presents its annual Family Concert, hosted by Sprague School music teacher Brian Hagar-McKee. Children and their families will thrill to music from Batman, Spiderman, Superman, Star Wars, ET, Harry Potter, Raiders of the Lost Ark, and many others. Everyone is invited to come dressed as his or her favorite superhero and Maestro Max Hobart will lead the orchestra with his powerful light saber. An Instrument Petting Zoo will be at 1:30, and a Show ’n’ Tell at 2:15. The concert is at MassBay Community College, 50 Oakland Street at 3 PM. Tickets are $25 for adults, $20 for seniors and students, and free for children 12 and under and may be purchased at Walgreens, 266 Washington St., Wellesley Books, 82 Central Street, Andrews Pharmacy on Weston Road, on-line, and at the door. There is plenty of free parking at the college. 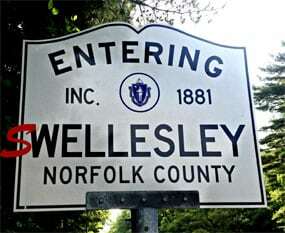 Call 781-235-0515 or visit www.wellesleysymphony.org.